Organizations are shifting how they utilize their electronic health records (EHRs) and are identifying additional features that are needed to support new service delivery models in value-based settings. This free white paper provides key market research for health and human service organizations to evaluate areas to improve their existing and future technology strategies as the health care environment changes. The white paper features survey results from the 2017 National Behavioral Health EHR Survey which targeted 400+ organizations across the nation who provide behavioral health services. The survey focused on the participating organizations’ EHR implementation, existing system functionality and progress toward implementation, and future technology needs to enhance their organization. 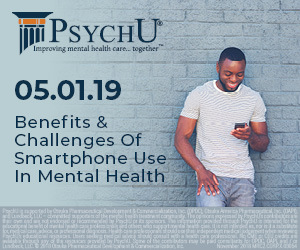 Please complete the form below to download the full text of The Future Of Behavioral Health EHR Systems: Beyond Billing & Scheduling. This white paper has been provided to OPEN MINDS readers free of charge by Credible Behavioral Health Software.